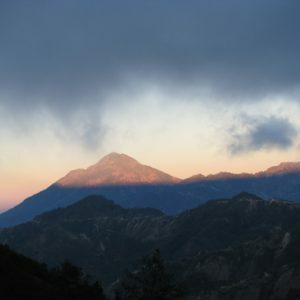 Our Huehuetenango coffee is single-origin, grown by Mayan farmers, members of the Asociación Barrillense de Agricultores (ASOBAGRI) whose main office is located in the community of Santa Cruz Barillas, Huehuetenango. Our Huehetenango coffee is a Organic, Fair Trade, and Shade Grown. 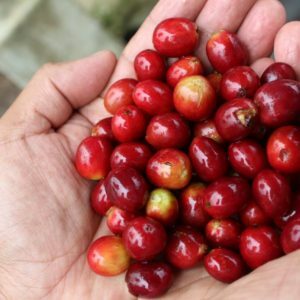 It is a single-origin coffee, grown by Mayan farmers, members of the Asociación Barrillense de Agricultores (ASOBAGRI) whose main office is located in the community of Santa Cruz Barillas, Huehuetenango. ASOBAGRI was founded in 1989 by 20 farmers and now has close to 1,200 members scattered throughout Huehuetenango and El Quiche provinces, representing the Maya Q’anjob’al, Mam, Akateco, and Ixil ethnic groups. The 2017 Huehuetenango – ASOBAGRI crop resulted with the following cupping results for Flavor/taste/depth: Sweet, very clean, roasted hazelnuts, brown sugar, malt, cocoa. Our Guatemala Huehuetenango coffee is organic certified. The organic coffee plots are inspected by the Guatemalan certification agency, MayaCert S. A. The coffee is also Fair Trade certified by Fair Trade USA. Organic Certification Agency: Mayacert, S.A.
We have been enjoying huehue for many years. We buy a 5-pound bag and grind out own. We don’t drink any other coffee. Full-bodied and heady, huehue can be brewed as strong as you like without being bitter. We use a French press, and we both agree it’s the best coffee we’ve ever had. We wanted to be sure our coffee was fairly traded, so buying directly from Guatemalan / Mayan co-ops is also very important to us. $36.00 Add to cartAdded to cart! $13.00 Add to cartAdded to cart!